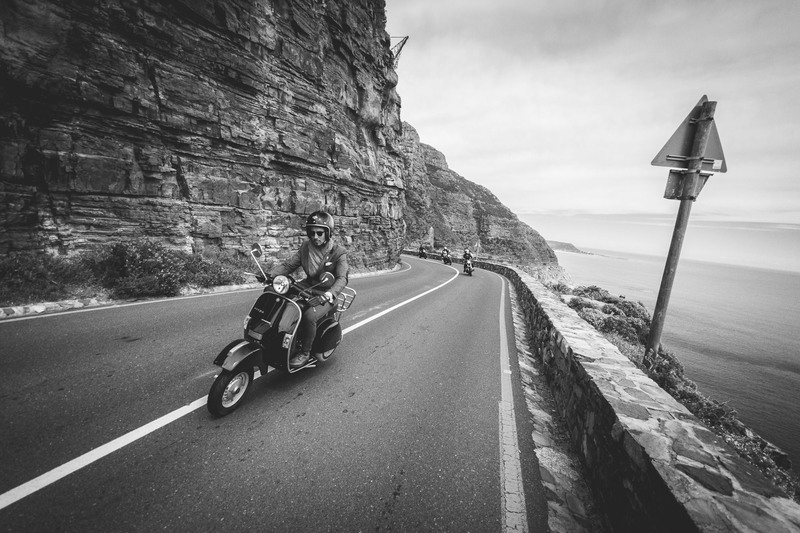 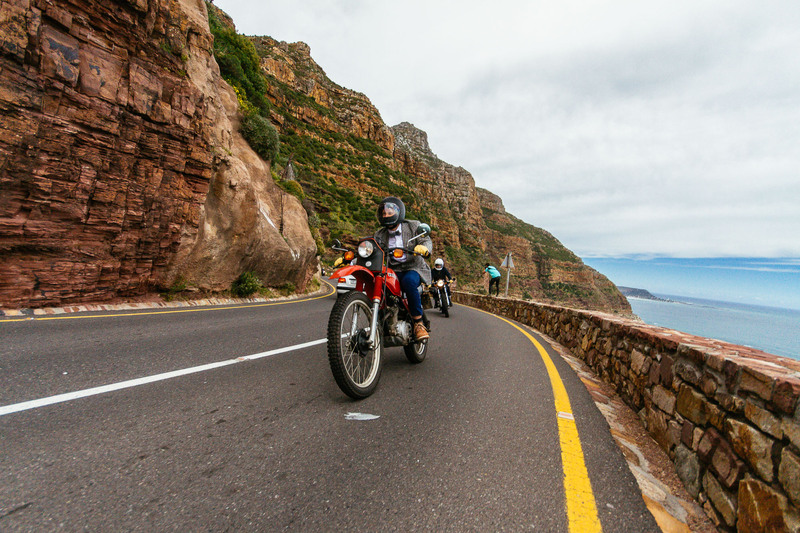 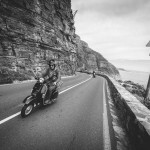 On any Sunday you can expect to see a fair amount of motorcycles winding their way around Cape Town’s peninsula. 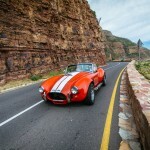 Taking into account the scenery and endless mountain passes, it’s not surprising. 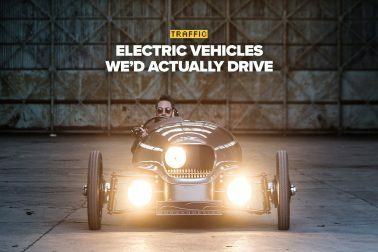 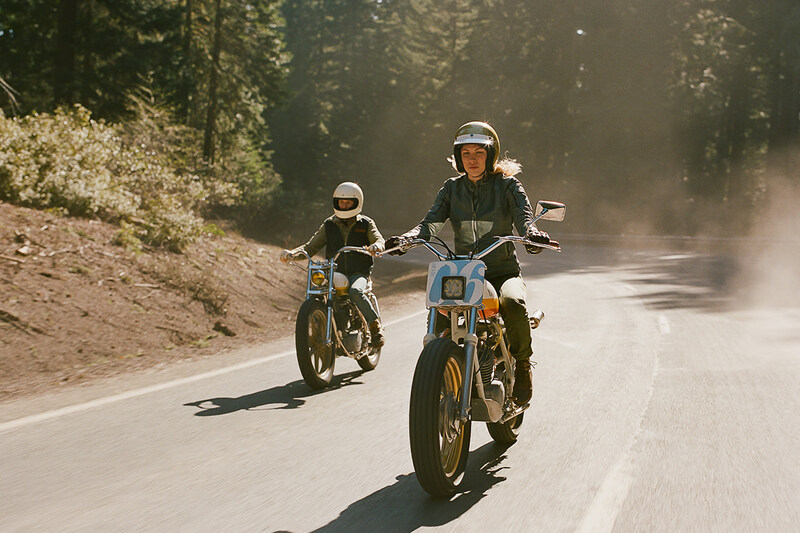 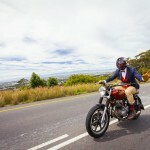 What you’re less likely to see is eighty-seven classically-styled motorcycles hit the road at once—with riders decked out in dapper apparel. 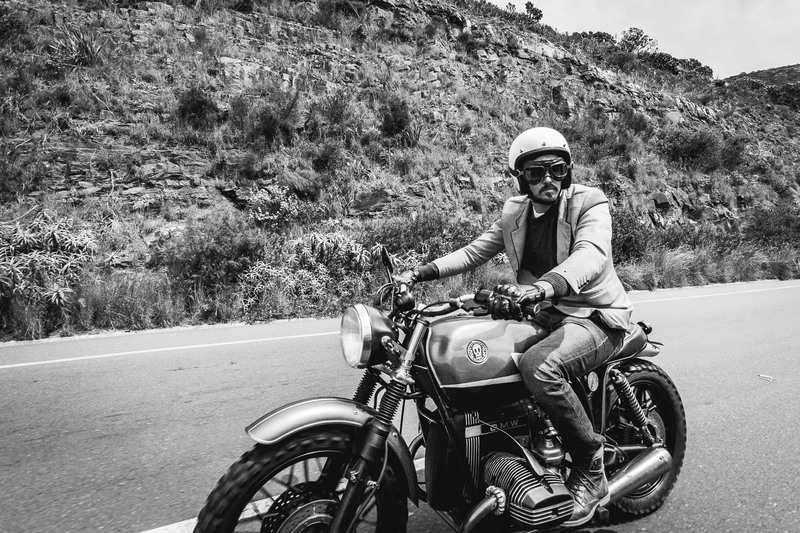 This is The Distinguished Gentleman’s Ride—an annual event where riders suit up and to the streets the world over, to celebrate café-racer culture and raise awareness for men’s health issues. 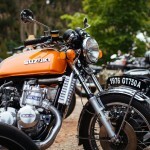 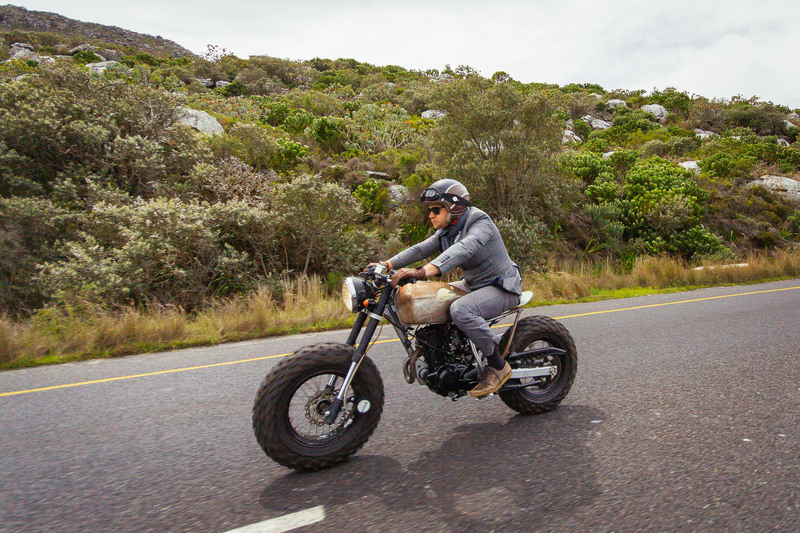 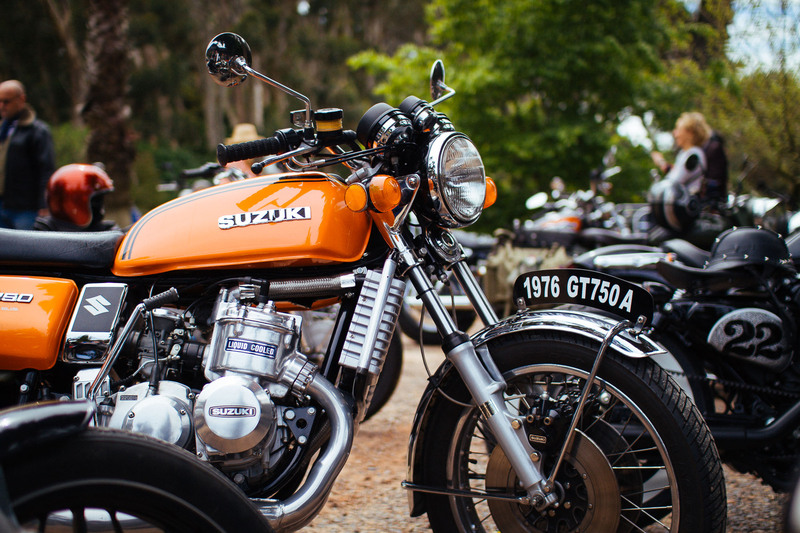 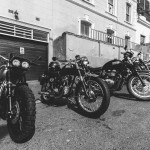 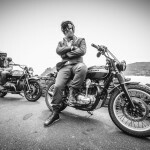 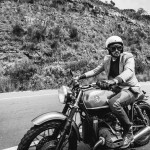 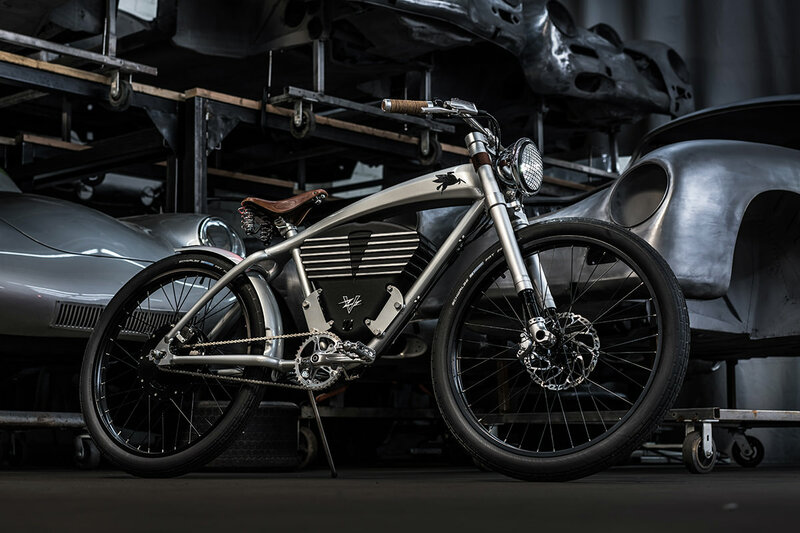 The DGR is the brain child of Sydney native Mark Hawwa. 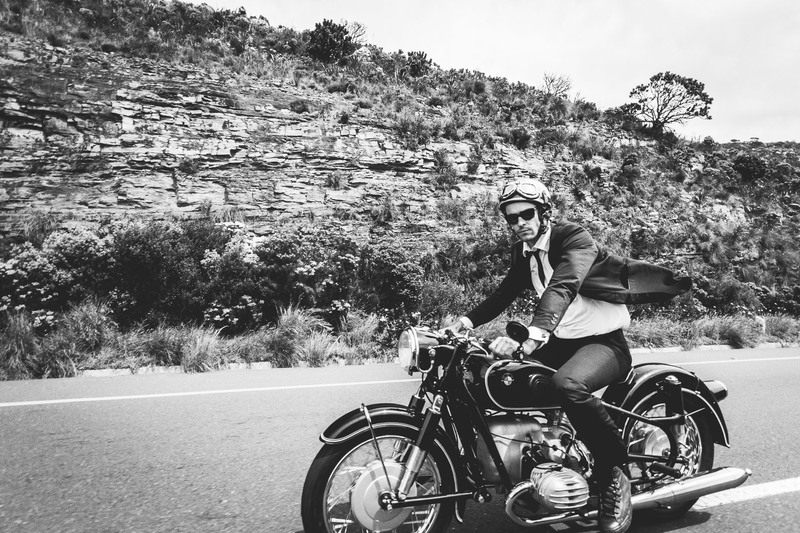 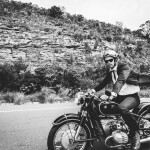 A photo of Don Draper looking suave aboard a vintage motorcycle sparked a crazy idea: what if he could get riders of classic and custom motorcycles globally to put on their Sunday best and go on a ride? 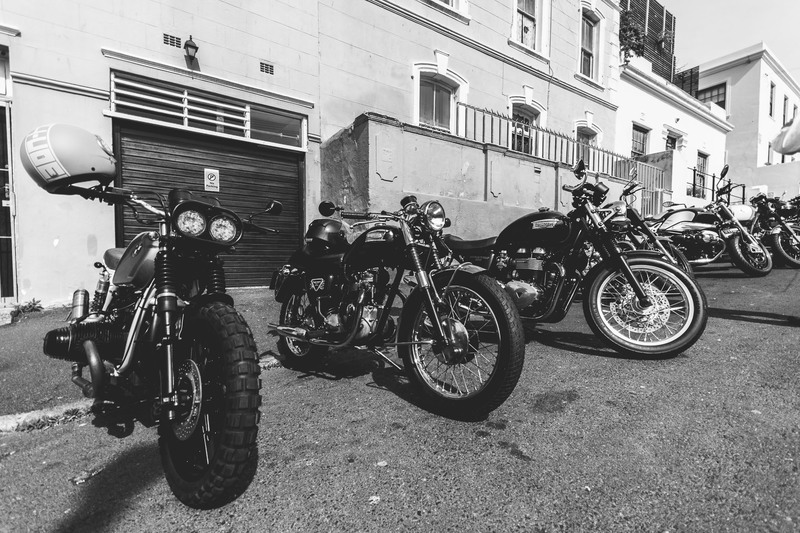 Everything clicked, and three years on the DGR has grown exponentially. 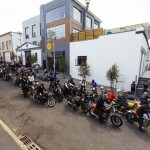 This year alone twenty thousand riders in fifty-seven countries took part. 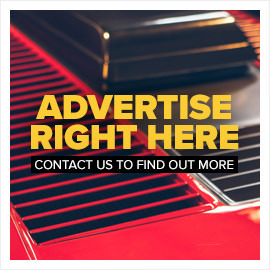 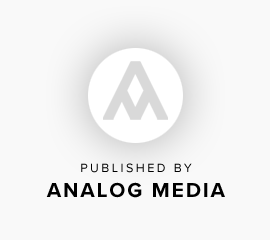 It’s taken on a charity slant too, with this edition raising roughly one-and-a-half million US Dollars in support of prostate cancer research, via the official website . 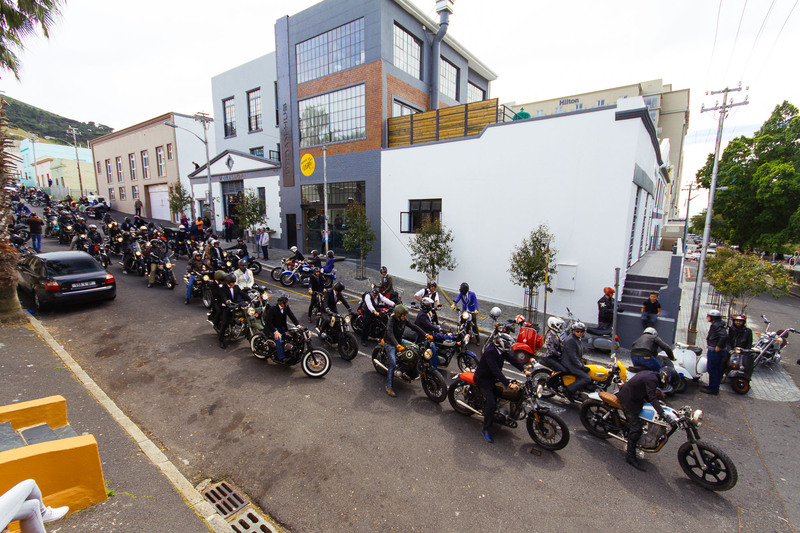 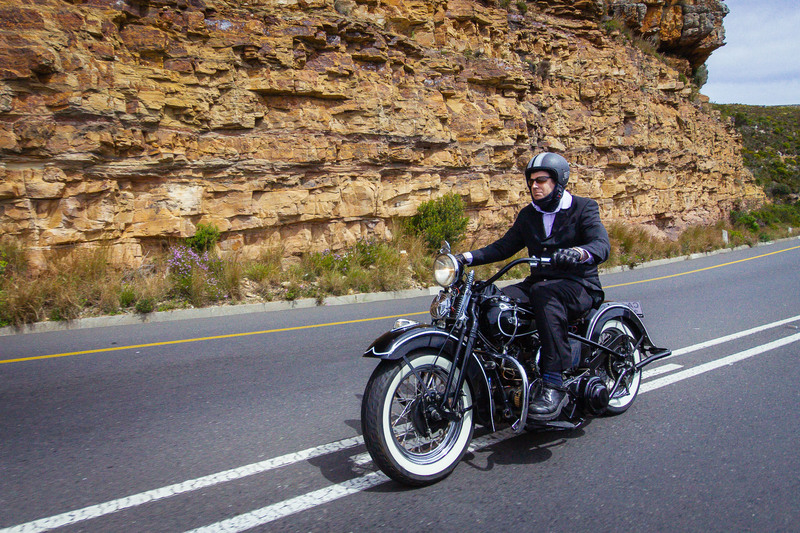 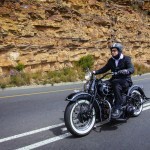 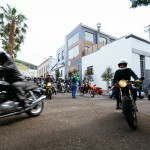 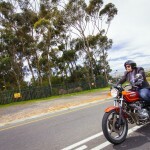 This was the second year that Capetonians took part in the DGR en masse. 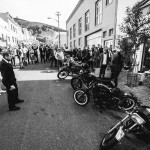 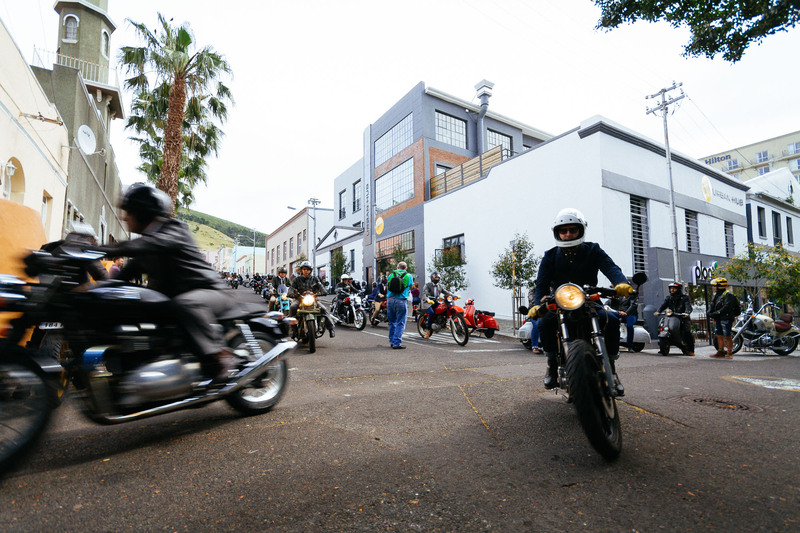 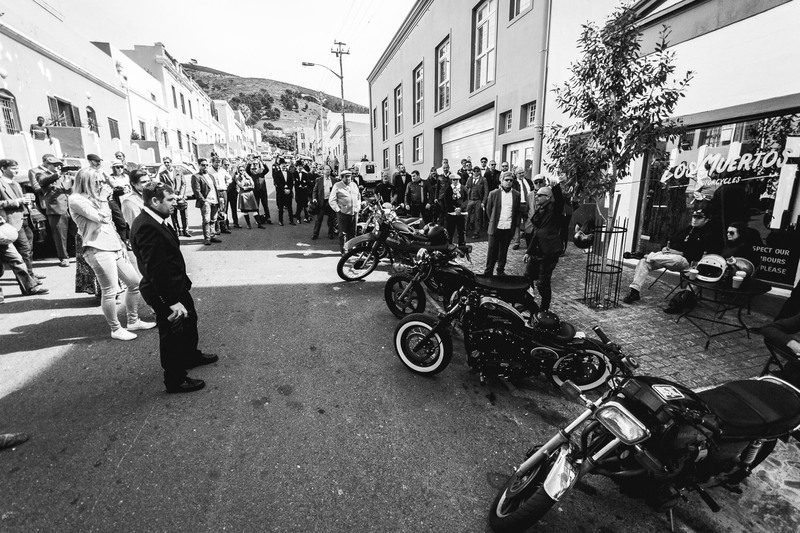 Eighty-seven cafe racers, bobbers, scramblers, trackers and all-round classics gathered at Los Muertos Motorcycles in the Bo Kaap on the 28th of September. 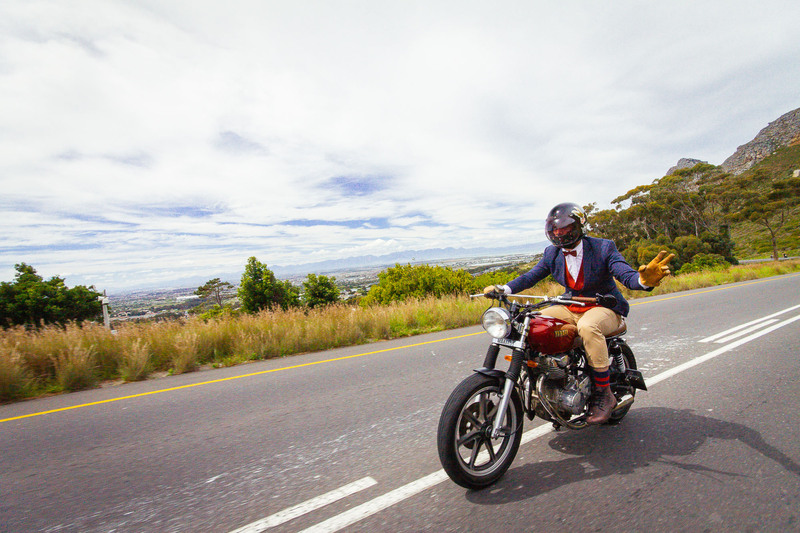 Their owners were decked out in jackets, ties, bow ties and—in one case—a kilt. 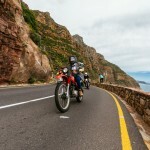 The route itself was nothing out of the ordinary—a laid-back amble over Kloof Neck, along Victoria Road, over Constantia Neck and Ou Kaapse Weg, and back via Chapman’s Peak drive. 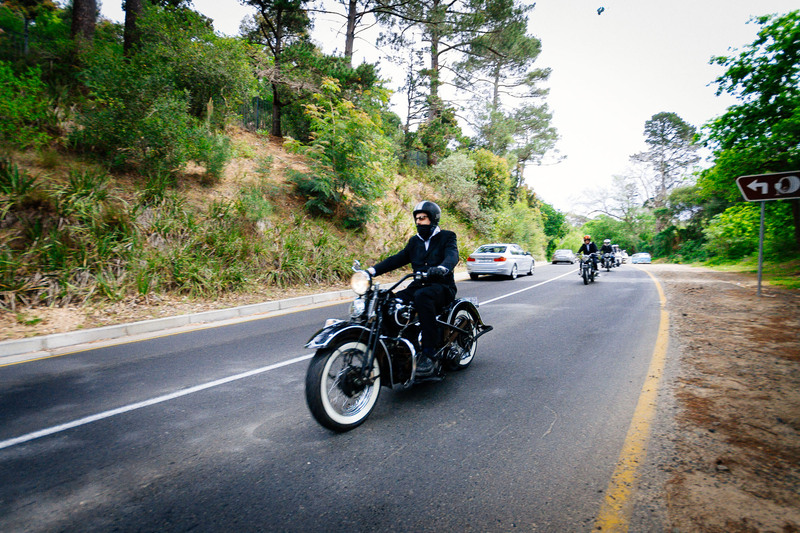 But then, that’s the point—a slow, safe ride to raise awareness by drawing attention to the machines and riders. 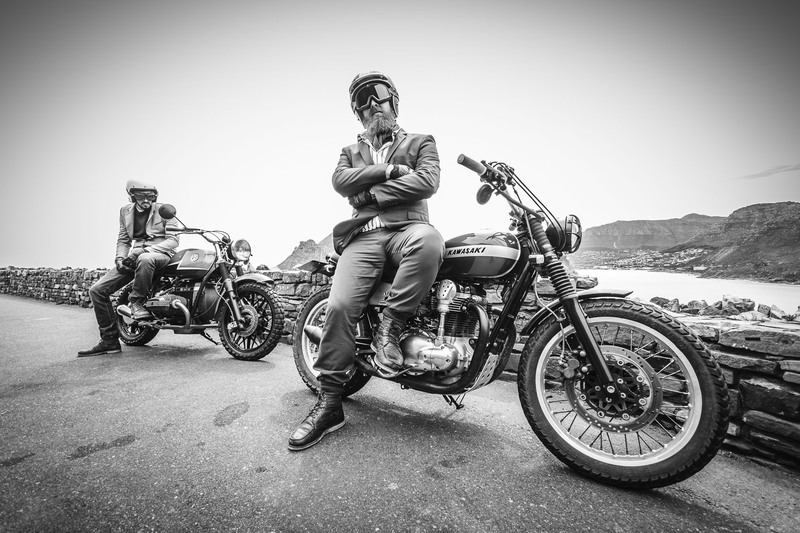 With Triumph Motorcycles UK on board as a global sponsor of the event, local Triumph dealer Mike Hopkins Motorcycles were along for the ride with a support crew and vehicle (which were thankfully not needed). 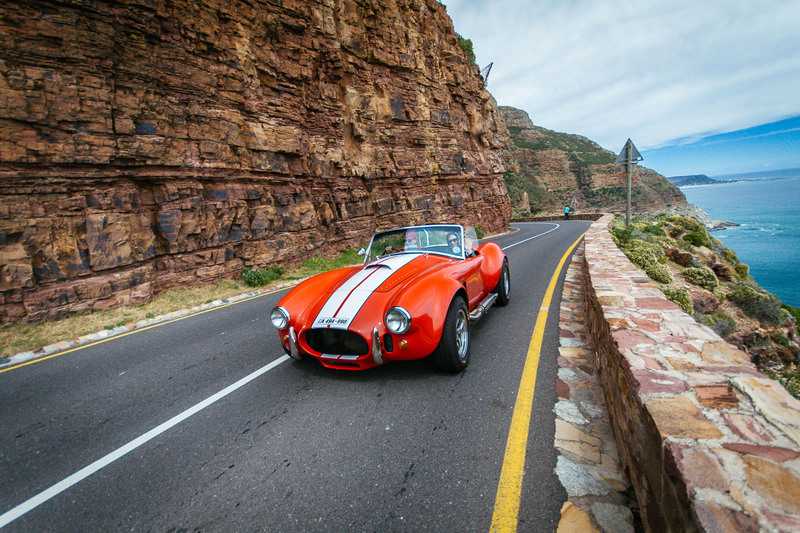 There was even an unofficial chase vehicle tailing the bikes—two ladies had decided that, since their husbands were riding, they’d rent an AC Cobra for the day and follow the ride. 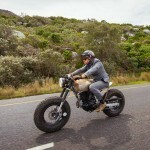 Everyone eventually landed at The Bungalow in Camps Bay where the remainder of the afternoon was spent in lazy petrol-head fellowship. 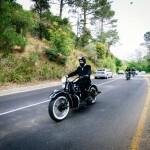 Throughout the day onlookers stared in wonderment, while riders ogled and complimented each others’ bikes. 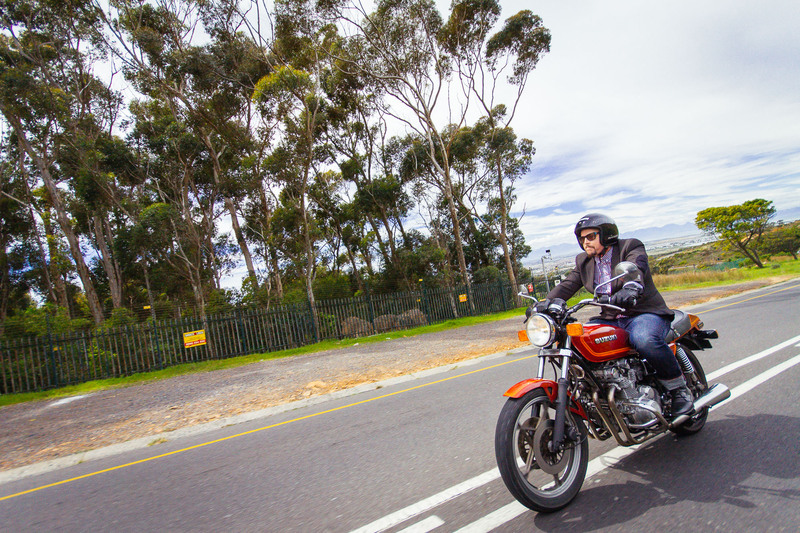 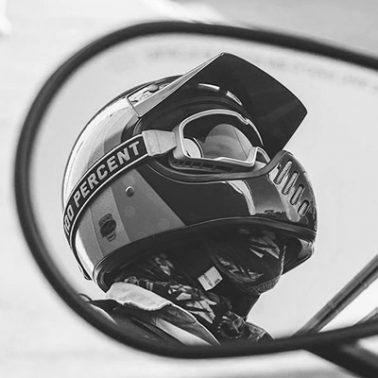 Most importantly, the motorcycle community in Cape Town, and globally, grew a little tighter.